At SimplyClouds, we recognize that when you choose to provide us with information about yourself through our website, you trust us to act in a responsible manner. If we decide to change our privacy practices, we will post those changes on this page. Please check this page for changes from time to time to make sure you are aware of our latest privacy practices. You may visit our public web site and browse without giving us any personally identifying information. However, to participate in certain offerings or if you ask us to contact you for more information about our services, we may rquire you to provide us with certain personal information related to the requested service (such as, for example, name, address, phone number, and other contact information). That's why we have put a policy in place to disclose to you how your personal information may be used. Please read on for more details about our privacy practices. 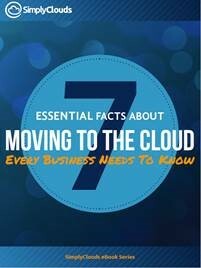 What information does SimplyClouds collect? How do we use it? At times we may request that you voluntarily supply us with personal information on our website. Generally, this information is requested when you register for a newsletter, email alert, or other service or when you request that we contact you to provide further information about our services. SimplyClouds collects this information to in order to record and support your participation in the activities you select. We may also use this information to keep you informed about new services and special offers from us and our selected service partners, but you will always have the choice not to receive such information. Will SimplyClouds disclose the information it collects to outside parties? SimplyClouds may store and disclose personal information as allowed or required by applicable law, including making disclosures that are necessary or advisable to: (a) protect the rights, safety, or property of users of our website, the public, or SimplyClouds or our website suppliers; and (b) conform to legal or regulatory requirements. SimplyClouds may provide aggregate statistics about our customers, sales, traffic patterns, and related site information to reputable third-party vendors, but these statistics will not include any personally identifying information. Also, in connection with certain SimplyClouds services and activities (for example, customer satisfaction surveys), the collection, transferring, storage, and processing of your information may be undertaken by trusted vendors of SimplyClouds. Such vendors are bound by contract to not use your personal information for their own purposes or provide it to any third parties. How does SimplyClouds protect personal information? "Cookies" are small pieces of information that are transferred to your browser and stored on your computer's hard drive. Our cookies enable us to provide you with more personal service. Cookies also allow us to track usage patterns, trends, and other aggregate visitor information. Most web browsers automatically accept cookies, but you can usually change your browser to prevent that if you would rather not store the information for future use. We may also collect certain technical and routing information about your computer to facilitate your use of the site and its services (such as browser type, operating system, and the Internet Protocol (“IP”) address of your computer). Without expressly informing you in each particular instance, we do not match such information with any of your personal information. We intend the SimplyClouds website for use by adults. Children are not eligible to use our services and we ask that minors (under the age of 18) do not submit any personal information to us. If you are a minor, you can use this service only in conjunction with your parents or guardians. By using our website, you consent to the collection and use of this information by SimplyClouds. If we decide to change our privacy practices, we will post those changes on this page. Please check this page for changes from time to time to make sure you are aware of our latest privacy practices. Our goal is to respect your privacy. You may at any time update or change your personal information or privacy preferences. To change your information or if you have any questions, please contact us.